Cardano has recently re-entered back into the top 10 cryptocurrencies by market capital, after the project announced its new Cardano 1.5 release on March 20. The announcement, which notably included a new 0.13.0 Daedalus wallet upgrade and the integration of a new intermediary Proof-of-Stake mechanism, ‘Ouroboros BFT’, received a highly positive response from the Cardano community. Over the weekend, the asset managed to bank an impressive 22% gain and break over the key psychological $0.06 price point for the first time in 4 months. This ramped up bullish momentum has now placed Cardano (ADA) ahead of Tron (TRX), but only by a narrow $19 Million. Since reaching its new 4 month high on Saturday, ADA has already retracted by nearly 8% as profit takers and panic sellers put an end to the explosive opening bull run. With the IOHK summit scheduled to take place next month and rumours spreading that Coinbase Pro might be adding Cardano (ADA) soon, will ADA bulls return to the market or will the asset continue to lose altitude over the rest of this week? Let’s take a look. On the 1D ADA/USD chart, the asset appears to be tracking inside a rising wedge pattern. 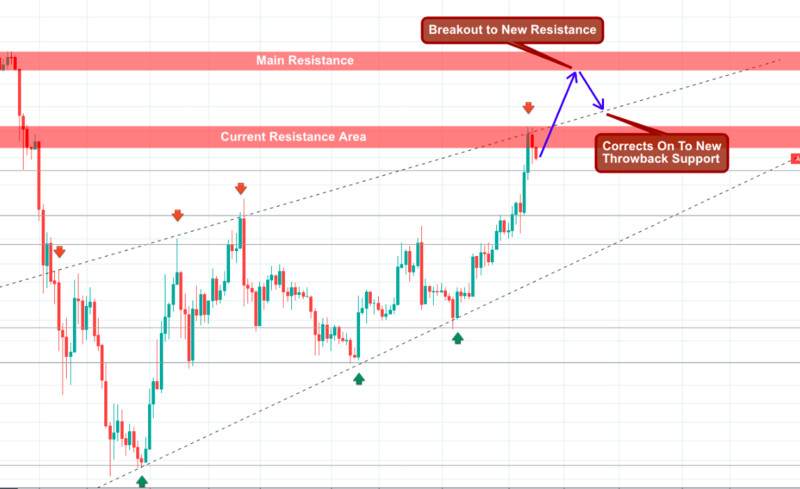 These patterns are typically bearish and foreshadow a trend reversal once the asset consolidates between the uptrending support and resistance levels. 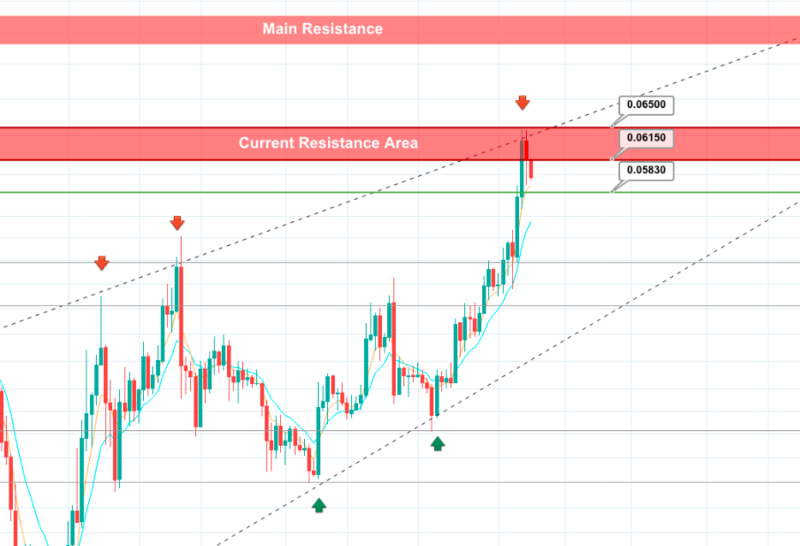 Sometimes however, the price action is able to reject the reversal and continue bullish, provided it breaks over the uptrending resistance and establishes a throwback support (see below). Looking at the price action today, we can see that ADA is currently in a correction phase after peaking at $0.064 on March 24. At the time of writing, ADA bulls are currently defending the psychological $0.060 support against the mounting selling pressure, but momentum indicators over 4hr candles appear to be favouring bearish traders. The RSI has fallen from 66% to 55%. The indicator line on the CMF has bearishly diverged below the zero line. The Aroon Up line is close to bearishly diverging with the Aroon Down line. The 5 EMA has fallen through the 11 EMA as short-term momentum diminishes. From this, we could expect the price action to continue correcting all the way down to the first key support at $0.058, if the $0.06 support fails. 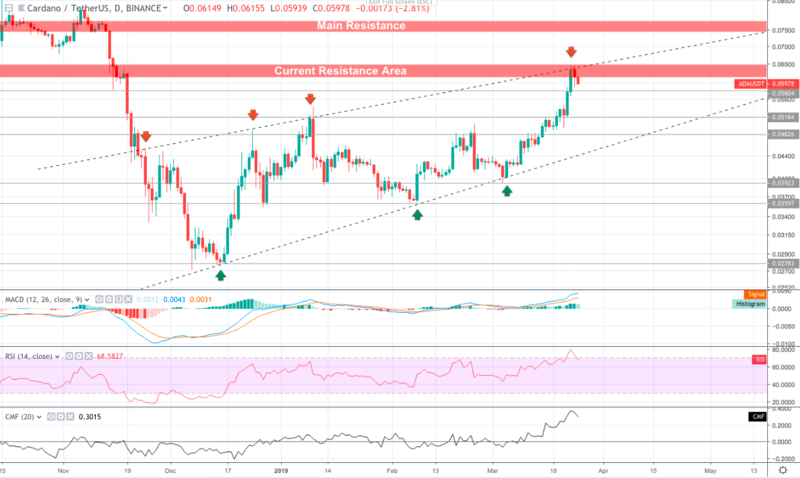 The $0.058 mark acted as a strong foothold for bullish traders back on November 15, 2018, and could provide buyers with a second opportunity to regain composure before attempting another breakout. All ROIs are calculated from the asset’s current value at $0.05970.